In June 2016, Congress announced the introduction of the bipartisan Shark Fin Trade Elimination Act, which would ban the trade of shark fins in the United States. While the act of shark finning is illegal in U.S. waters, shark fins continue to be bought and sold throughout the United States. One of the greatest threats to sharks is finning – the act of cutting the fins off of a shark and discarding its body at sea, where it could drown, bleed to death, or be eaten alive by other fish. The demand for shark fins is primarily driven by the market for shark fin soup, a luxury item popular in some Asian cuisines. In fact, fins from as many as 73 million sharks end up in the global shark fin trade every year. Oceana’s report demonstrates why Congress needs to pass a federal ban on the buying and selling of shark fin products. 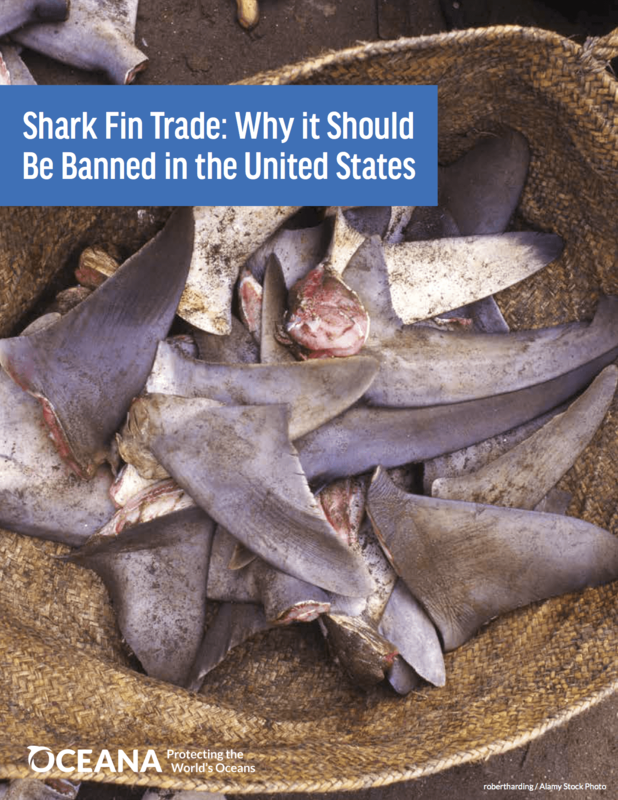 According to the report, a nationwide ban on the trade of shark fins would reduce the international fin trade, improve enforcement of the current finning ban, and reinforce the status of the United States as a leader in shark conservation.